RIM has updated its landing page for BlackBerry 10, adding a couple of videos, focusing on BlackBerry Hub and giving you an opportunity to add your email address to receive news on further updates. 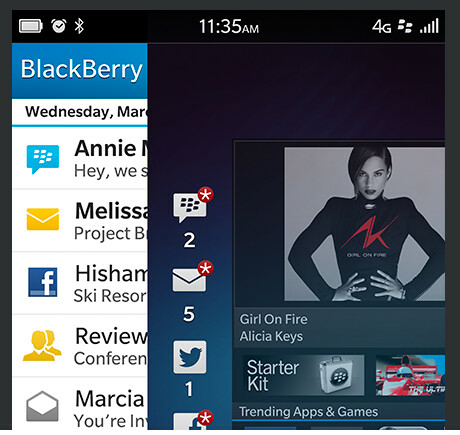 And there is even a small peek of a BlackBerry 10 device. While mostly covered in a shadow, we see what appears to be the back of the device with the camera lens and the flash seen. A institutional brokerage house released a bearish report on RIM, as we told you earlier on Friday, that calls for a March launch of the first BB10 models. Those will be the all-touch versions of the phone and the units with a physical QWERTY keyboard won't be ready until June, according to the institutional broker. The interesting thing about the peek of the hardware on the page is that the camera seems to be the same as the BlackBerry 10 L-Series phone leaked in earlier pictures, but the texture of the back cover seems different. There's a little mystery, but hey, RIM doesn't mind at this point. Anything that keeps the BlackBerry name in front of the public until the January 30th introduction of BB10 is gravy for the Canadian manufacturer. By the way, we like the new BlackBerry 10 tag-line, "Re-designed. Re-engineered. Re-invented. How about you? Well I will say that I do not understand anybody who says Android is "complicated to use" or "only for geeks to use" after seeing how complicated Blackberry 10 looks. There's just so many gestures I don't think I could remember them all. I would like to think the old Blackberry OS was easier to use. I don't know, I just can't imagine that many people putting down an iOS, Android, or WP8 device for a Blackberry 10 device. it will surely be overshadowed by Android flagship. blackberry 10 should incorporate the essence of blackberry-the keyboard. a touch screen with slider keyboard is a good start..
yeah... a slider is a perfect combo for me! the fact that you are the first commenter just prove that you are a troll!!! lol...boring interface? it dont even have that home button on iPhone and capacitive or on screen navigation on android!!! its all about the flow and your gestures! Lol to you.... You cant even speak english properly I believe its "it doesn't even have"
Tip: In a comment complaining about grammar, use proper grammar. blackberry has loyal fans and they will deffinitely going to get one! while windows, its up to microsoft! coz WP are good but not that attractive...the live tiles dont help either, but its unique that is a good + on it!! while the RT or win8, its a disaster for microsoft...especially the pricing and the license fee!! but if microsoft will make some move or cut down the prices then it will be ok! 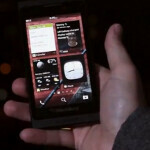 Can you please release the bb10 now RIM?? lol...are you excited? haha!!! haters, haters...you make me laugh coz even you keep on saying that you hate someone or something or somebody but still you keep on following or in common words trolling around them! admit it, you want to have a peek on that BB10 device!